Truly world class. The “Nutrition. Action. Champion.” program of Alaska Milk received international recognition for excellence when it won the silver medal in Best Use of Brand Advocacy during the 2015 Loyalty & Engagement Awards in Singapore last Aug. 13 at the Shangri-La hotel, Singapore. The “Nutrition. Action. Champion” program was cited from among cutting-edge work across the region with 22 entries from Asia Pacific, South Asia and ANZ during the third edition of Loyalty & Engagement Awards, which was its biggest ever. Through the “Nutrition. Action. Champion” initiative, Alaska Milk rallies Filipino children to an active lifestyle, promotes good nutrition and instills the values of discipline, determination, hard work and teamwork for them to become champions in whatever they do. The sports activities are developed, organized and sustained by Alaska Milk and its agency partners TBWA\SMP, OPEN and Partners, and M2M Advertising Phils. Alaska Milk has one of the biggest year-long sports programs in the Philippines- with more than 60 events, six different sports (basketball, volleyball, football, triathlon, cycling and running), and more than 20,000 participants nationwide. 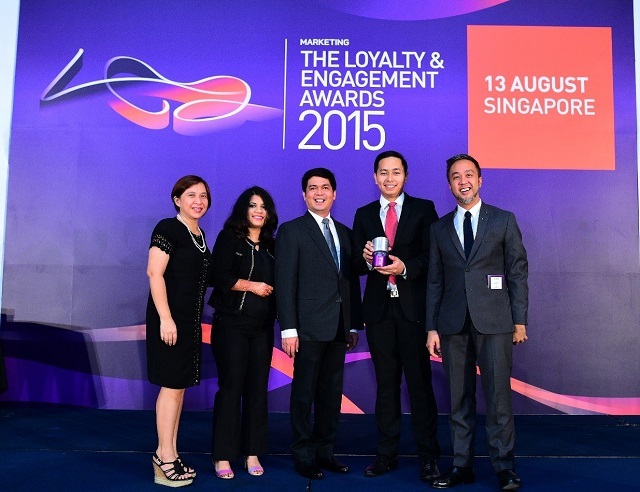 The Loyalty & Engagement Awards support Marketing magazine’s mission of elevating marketing standards and practices in the region with focus on customer loyalty and engagement. ActiveHealth Carbgel Now Available Online!